Obituary for Delonta DeVonce Dandridge, Jr.
Delonta DeVonce Dandridge, Jr. was born on November 12, 2016 to Shakaye Creek and Delonta Dandridge, Sr. at Calvert Memorial Hospital in Prince Frederick, MD. He departed this life on July 30, 2017. He was affectionately known as "Tink Tink" by his mom, "Big Man" or "Daddy's Baby" by his dad and "Jr." to his sisters. Jr.'s smile would light up the room. 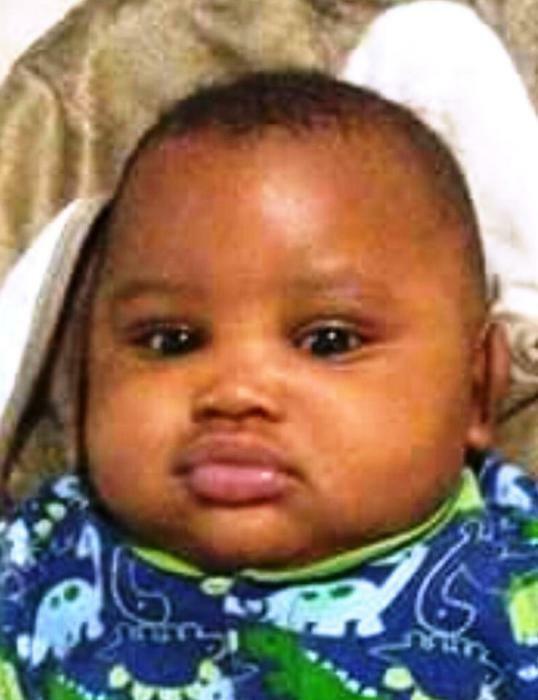 Delonta was a big bundle of joy to all that knew him, especially his mother, father and sisters who adored him. Although Delonta went home to be with God sooner than we all expected, we are so thankful for the eight months that God allowed him to be in our lives. Delonta, Jr. leaves to cherish his memory his parents, Shakaye Creek and Delonta Dandridge, Sr.; sisters, Shakeya, Destiny, Shekaya, and Diamond Dandridge; grandparents, Dorothy Brown-Emerson, Michael Emerson, Joyce Thomas and Alvin Parker; great-grandmothers, Estella Brown, and Annie Creek; two aunts, TyAnn Emerson, and Anita Dandridge; six uncles, Trevon Parker, Kyle Emerson, Kwame Dandridge, Durez Creek, Turez Creek, Demetrius Creek; special family, Larry Brooks, Jr., Kingsley "Butch" Jones and a host of great-aunts, great-uncles, cousins, and family friends. He was preceded in rest by his grandfathers, Marvin Dandridge and Robert Creek. Jesus said, suffer little children, and forbid them not, to come to me: for of such is the kingdom of heaven.